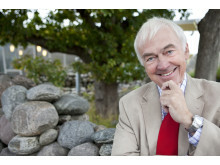 Nå kommer det til å bli enklere for transportselskaper som håndterer avfall å planlegge sine transportoppdrag. Hogia lanserer et nytt skyprodukt, Hogia Moveit Recyleit, som skal hjelpe transportselskaper med å effektivisere transportplanleggingen. Med mer effektiv planlegging av kjøreruten kan man redusere drivstofforbruket, hvilket er positivt både for miljøet og økonomien. Hogia Ferry Systems has signed an agreement with the Tunisian ferry operator Compagnie Tunisienne de Navigation (CTN) to deliver the reservation and ticketing system BOOKIT. CTN operates a cruise-like passenger and vehicle ferry service from Tunis to Genoa, Italy and from Tunis to Marseille, France and has intentions to expand their business further. 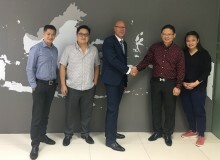 Hogia Ferry Systems have signed an agreement with Indonesian Ro-Ro operator JZK. JZK is a start-up operation, connecting Jakarta and Surabaya. Cargo transported between the two cities is today transported by trucks. The 800 km journey takes three driving days. JZK, with their two vessels can cover the same distance sailing along the coastline in around one day. In collaboration with Hogia, Movia has introduced a whole new way of managing real-time information to and from its buses. 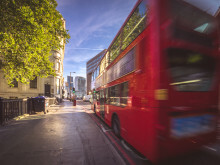 The result is a new basis for the division of responsibility for the technology in buses between the public transport authority and bus operators, which altogether gives greater freedom and lower costs. IT-supplier Hogia continues its pattern of steady growth and is now investing in a new business area, Hogia Transport Systems. Transport Systems will oversee all Hogia’s activities within the transport industry. This new business area has a predicted growth of 35 percent by 2020. Swedish IT company Hogia can now help bus companies to improve the efficiency of communication between traffic management and bus drivers. Based on TETRA technology, Hogia can link up traffic management systems to national radio communication systems. 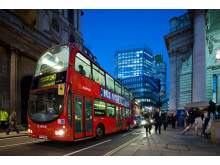 This provides buses with a stable, user-friendly radio system. 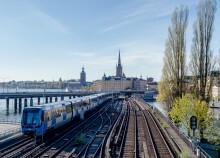 Transport companies in Sweden are now using this solution, with positive results. The Isles of Scilly Steamship Group has contracted Hogia Ferry Systems to implement their reservation and ticketing system, BOOKIT. Hogia at the Interferry conference in Split, Croatia. 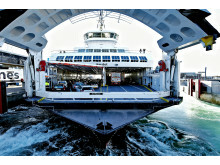 Hogia Ferry Systems has been selected as the long-term partner and supplier of a standard software system for HH Ferries. 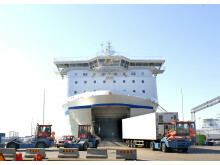 Their ferry operation runs between Helsingborg in Sweden and Helsingör in Denmark. Hogia Ferry Systems’ BOOKIT product is already live and handling ticketing, reservations and invoicing. With the help of a new web platform, HH Ferries is looking to increase online sales. 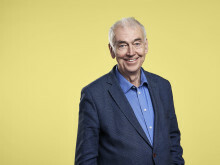 2015 was another strong year for Swedish IT company Hogia. For the seventh consecutive year, the company's workforce expanded by 25 employees. The company had positive profits for the 25th consecutive year. Profit after net financial items was SEK 19 (23.5) million. This is in line with Hogia's ambition to make profits equalling 4 percent of sales. 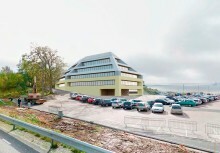 As part of the urban development of Norra Djurgårdsstaden, Ports of Stockholm is redeveloping Värtahamnen. The new port will be made more efficient and safe. Hogia will supply the terminal system responsible for handling goods transports. Passengers with the ferry operator Red Funnel Ferries are now able to keep track of both ferries and connecting bus services via one single information system. The solution provides passengers with consistent multi-modal travel information in real-time, even during times of service deviation and disruption.